1. Wash the berries, remove hull and chop it. 2. 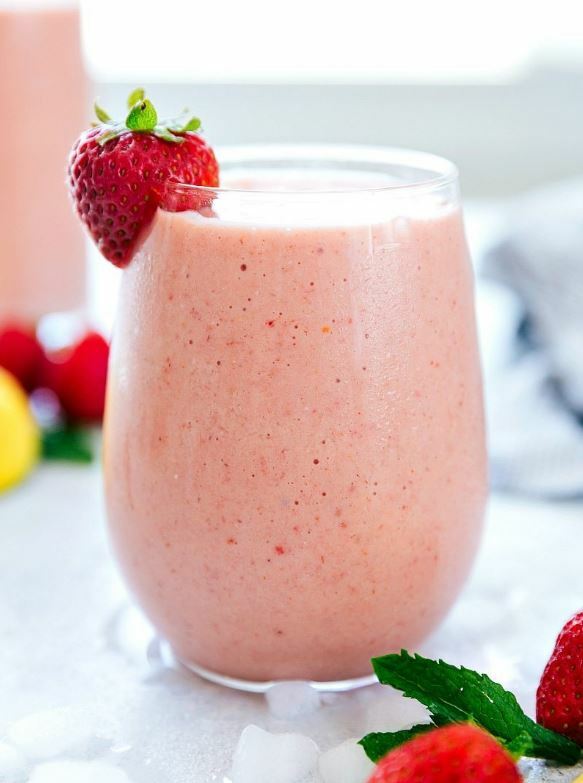 In a blender or mixer add roasted oats, strawberry and blend for minute. 3. Now add milk, sugar and blend again for 1-2 minutes or until smooth. Add ice cubes or chill and serve. 1. 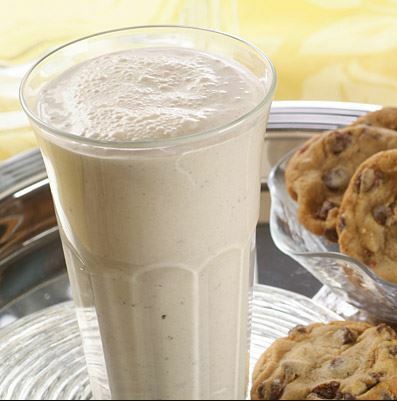 In a blender or mixer add milk, ice cream and 4 cookies. Blend until smooth or for 2 minutes. 2. Pour in serving glass, crush remaining cookies and use for garnishing. Our yummy milkshake is ready in no time. ~ Use any cookie & ice cream of choice. ~ Add a ripe banana for extra flavor. ~ Add sugar if needed. ~ Do any topping of your choice like nuts, chocolate sauce, sprinkles etc. 1. Peel and chop banana, add in a blender or mixer along with all other ingredients except walnut and blend until smooth or for 2 minutes. ~ Adjust sweetness if required. Pour in serving glass, garnish with chopped walnut & serve immediately. ~ For garnish you can use chocolate sauce, chocolate Rice or anything that fancy you. ~ You can add any other fruit along with banana. 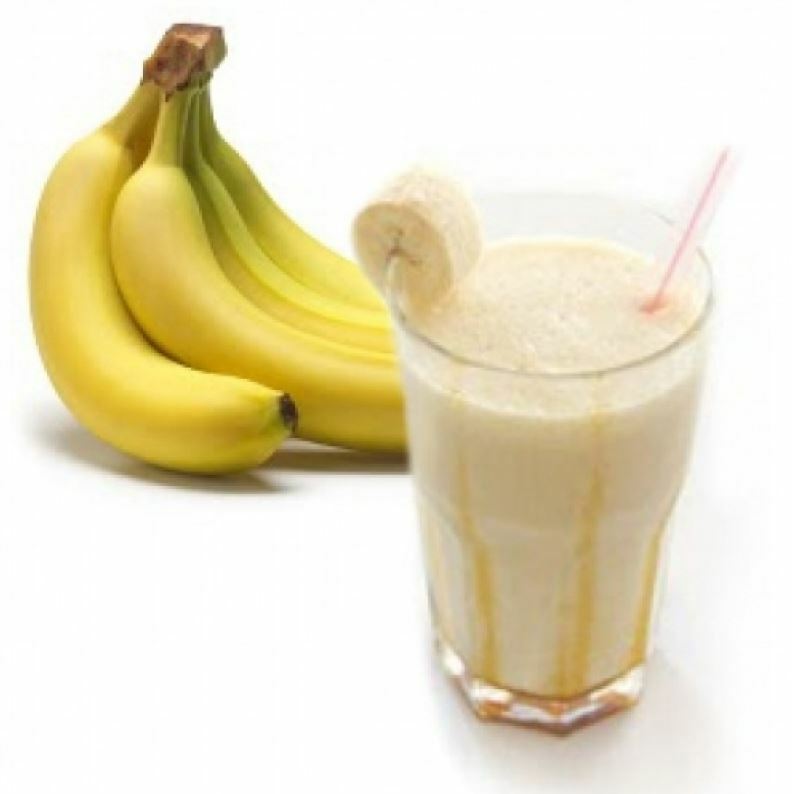 ~ I didn’t add sugar as the banana were very sweet, you may need to add according to your desire. ~ You can use cinnamon powder or vanilla extract to enhance flavor. ~ You can add a scope or two of your favorite ice cream to have a creamy texture. 1. Wash, core and chop apples, not need to peel. 2. Place all ingredients in a blender or mixer and blend until smooth. Pour in individual glasses and serve. ~ Add a scoop of ice cream for a creamy milkshake. ~You can add almonds, walnut to give a nutty taste. ~ Add little roasted oats to make it wholesome. 1. Peel mangoes and chop then. 2. 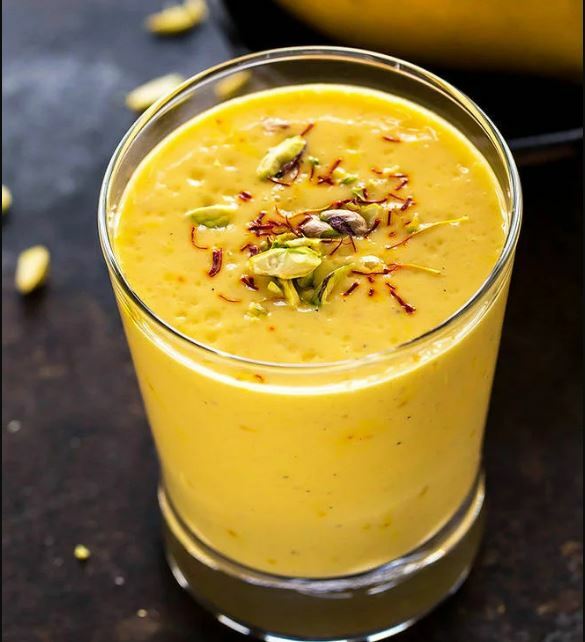 In a blender or mixer add mango pieces, sugar and puree. 3. Now add yogurt, cardamom powder, saffron and kewar or rose water. 4. Blend again until smooth or for a minute. 5. Pour in serving glass or chill and serve with pista and saffron garnish. 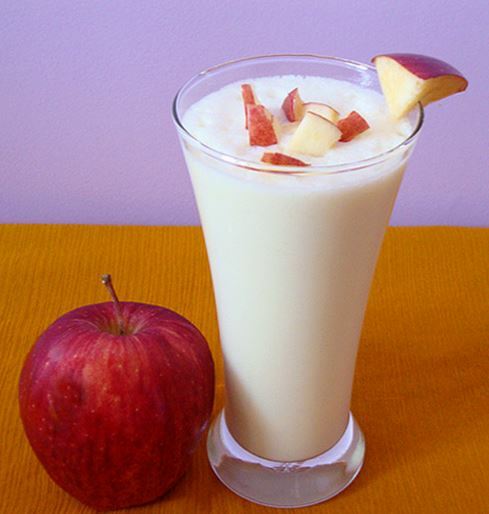 Use chilled yogurt and curd instead of adding ice cubes for a thick, creamy lassi. You can add 1-2 tbsp of fresh cream to lassi. Adding saffron, kewra or rose water is optional, if you don’t have both then just ignore. You can add 1/2 cup of milk if preferred. Use any variety of mango you like. Rinse, hull and chop the strawberries, keep aside 3-4 pieces of strawberry for garnish. In a blender or mixer add curd, milk and pulse for 30 secs to 1 min. 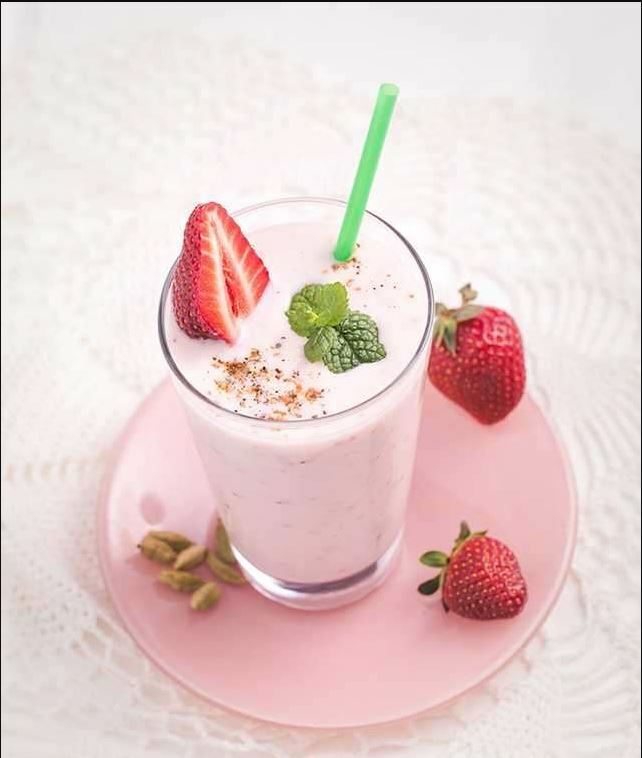 Add strawberries, sugar, rose water, cream (if using) and blend again with 2-3 mins with intervals to get creamy lassi. Transfer in to serving glasses, garnish with strawberry pieces and serve immediately. You can replace sugar with honey. Adjust sugar or honey to taste. You can use ice cubes while serving lassi. You can also add 1/2 tsp of freshly crushed cardamom while blending. If you don’t use cream, lassi still taste delicious. Peel and chop mango in medium size pieces. In a mixer or blender add mango pieces, sugar or honey, salt, 1 cup water, few ice cubes. Serve immediately or refrigerate until ready to serve. I added small mango pieces in juice before serving. You can adjust water with the consistency you prefer you juice to be either thick or thin. Adjust sugar to honey to your taste. It’s good to serve the juice immediately. 1. Peel, de-seed and chop papaya. Core and chop apples, you can peel apple if wished, I didn’t do that. 2. 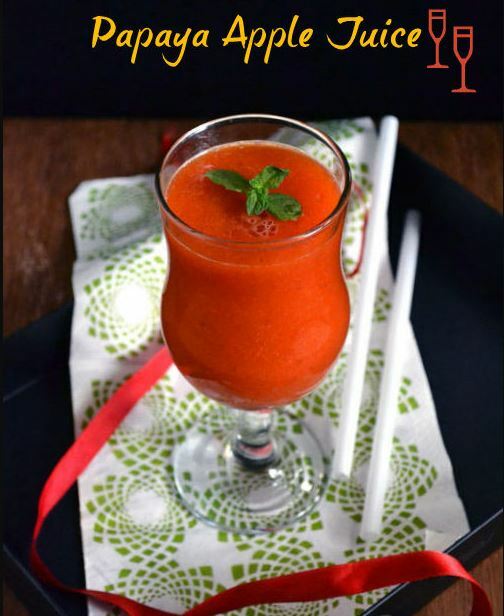 In a blender or mixer add papaya, apple pieces, 1 cup water and blend until smooth around 1-2 minutes. 3. Add sugar or honey another more water, cardamom (if using) and blend for a minute. Chill and serve or add ice cubes before serving. Enjoy the your juice.